If you haven't been living under a rock you know that the annual Boston Marathon took place this past Monday, April 16th. 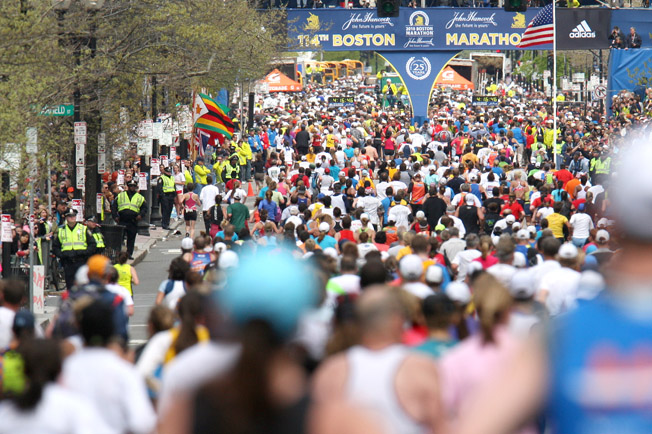 With it came over 25 000 registered runners and thousands more non-registered runners tackling heartbreak hill and the 26.2 mile Boston course. Although many of the leaders looked strong heading into the final mile, thousands more never experienced the thrill of victory but instead suffered the agony that so many runners face on a daily basis - a running injury that either limits or completely stops their running. So what caused this running injury? The answer might surprise you - it's the way you hit the ground! Learn more about why you continue to ice your knees and shins and how you may be able to avoid these pains in the future with only a simple change in your stride. Davis and her group went on to recruit 240 female rearfoot strike runners aged 18-40 who ran a minimum of 20 miles per week. Data was collected including ground reaction forces, vertical average loadrate, peak vertical force, etc. Running mileage and injuries were reported monthly for 2 years. “Our injury findings were consistent with previous literature. It has been reported that between 20-80% of runners get injured in a given year, and 57% of our runners sustained a prospective injury. In terms of injury distribution, iliotibial band syndrome, anterior knee pain, tibial stress syndrome, and plantar fasciitis were also among the top five injuries in much larger study of 2002 runners. As hypothesized, all impact loading was greater in the injured runners compared with the never- injured group. All impact variables were significantly higher, except for VILR. Interestingly, FZ, the peak value of the vertical force, was identical between groups. This further underscores the importance of impact loads in the development of these injuries." Sudden impacts are BAD! Notice the sudden spike with the RFS? Want to avoid these sudden impacts associated with injury? Better think about adopting not only a different gait, but also a different pair of shoes. Many modern running shoes have heels that are simply so thick that they prevent you from making contact with the ground in any other way than with the heel - and thus the dreaded impact forces! 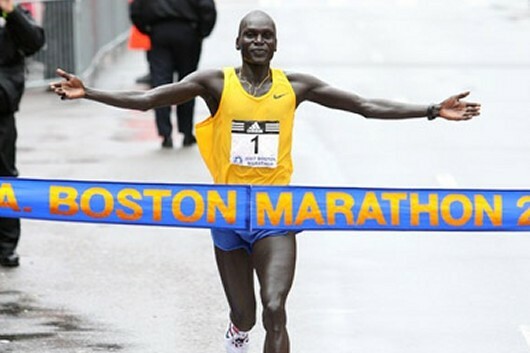 BSMPG wishes the over 30,000 runners in the 2012 Boston Marathon the best of luck! It’s been over a year since I first began the Dynamic Neuromuscular Stabilization program. Since that initial “A” course, my clinical thought process has expanded exponentially through following up with the “B” and “C” courses, my privileged opportunity to visit Motol in Prague, and the day to day reflections of my current practice. Well recently, I had the privilege of taking part in another DNS A course that was put forth by Michael Maxwell of Somatic Senses and taught by Alena Kobesova and Brett Winchester. This particular experience was quite special for me because not only was it local (hence no flight costs), but it provided me with the opportunity to share my experiences to date with many of my friends and colleagues who attended the course…including my wife. I would say however, that the most beneficial aspect of being present was that it afforded me the opportunity to “fill in the gaps”. Meet Jeff Cubos and other top therapists and strength coaches as attendees at the 2012 BSMPG Summer Seminar. Register today before seats are filled!! Barefoot expert and Harvard Professor Daniel Lieberman talks about the obesity problem in America. This 13 minute presentation examines our evolutionary path to obesity and concludes with a radical idea to fight this growing problem. 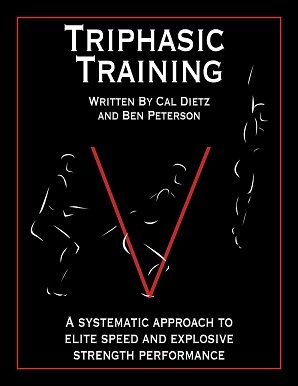 The wait is finally over - Triphasic Training by Cal Dietz and Ben Peterson is finally here. Click HERE to order Cal's Book. Read a portion of Cal's Book by viewing a previous post HERE. The eBook contains over 350 pages, divided clearly into 2 parts: the why and the what. The first section goes through the physiological basis for the Triphasic method, undulated block periodization, and general biological applications of stress. The authors will explain how to incorporate the Triphasic methods into existing programs, with complete descriptions on adapting it to virtually any scenario. Section 2 is devoted entirely to programming, with over 3,000 exercises hyperlinked to show you specifically how to perform every exercise. Included in this section are 5 separate 24-week training programs built for either 6 day, 5 day, 4 day, 3 day, or 2 day models. Also included is a complete 52 week training program for football. Cal and Ben show you why and how to peak football lineman or skill players, baseball, swimming, volleyball, and hockey players (among others). By reading this book, you will learn how to take the principles of Triphasic Training and apply it in the correct context for YOUR needs and YOUR athletes! It is the pinnacle of sports performance training. By breaking down dynamic, athletic movements into their three components (eccentric, isometric, and concentric), the Triphasic system maximizes performance gains by applying stress to the athlete in a way that allows for the continuous development of strength, speed, and power. Everyone! From elite level athletes to absolute beginners, the triphasic method of training allows for maximal performance gains in minimal time. For that reason professional athletes from all backgrounds seek out Coach Dietz each off-season to train with his triphasic system. Coach Dietz has worked with hundreds of athletes from the NFL, NHL, and MLB, as well as several dozen Olympic athletes in track and field, swimming, and hockey. 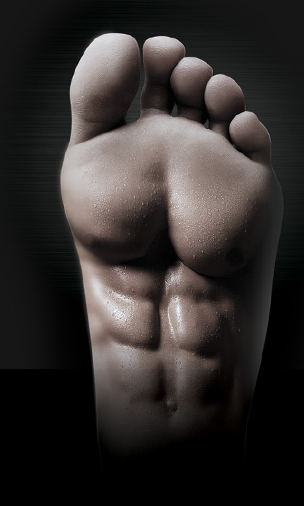 See what professional strength coaches are saying about Barefoot in Boston. "When the foot hits the ground everything changes! 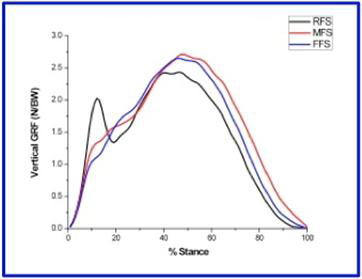 Training your feet without the use of shoes and preparing them, and your entire lower extremity for the rigors demanded in elite sporting events not only makes sense, but is a must for decreasing injury rates while enhancing foot function and performance." 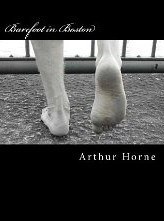 "Arthur Horne writes a wonderful book to enlighten and enhance athletes & non athletes on the intrinsic nature of how we are and can be through barefoot training. In a short time I was on the last page with more clarity on this subject than before. A quick read that focuses on "what's the next step" to help the reader learn and apply the lessons of this author and researchers that have studied this training method before. Great book to learn and train more toward barefoot in whatever way may be suitable." Purchase Barefoot in Boston on Amazon Today. Available in book and kindle editions!